All of our treatment sessions and treatment plans are customized to the specific needs of our Ansonia patients. We take careful precautionary steps to ensure that accurate protocols are established at the beginning. Through Neurofeedback, Biofeedback, and even optional counseling and coaching, Dr. Roseann is here to help the people of Ansonia experience a healthy way of life. Neurofeedback is a simple process that helps us to better understand the inner and subconscious operations of our Ansonia patients. It focuses on the study of brainwaves and collected information through computers and sensors. Brainwaves can impact significant aspects of individual’s lives, and Dr. Roseann enables our Ansonia patients to control and self-regulate these brainwaves. It can lead to improvements in focus and diminished negative symptoms. Biofeedback is the study of the body and connections with the mind. With a proper understanding of physiological functions and how they relate to emotions and behaviors, our Ansonia patients can decrease negative effects of conditions. Biofeedback helps with controlling various bodily functions, such as body temperature, skin temperature, heart rate, and even breathing. Learning to control these can reduce stress and allow for more apt control of reactions, behaviors, and emotions. A QEEG is a quantitative electroencephalogram, which is essentially a personalized brain map. We perform a QEEG for each Ansonia patient. A QEEG helps us to better understand specific conditions and your individualized reactions, including how your brain reacts. We use this information to compare and contrast it with a standard set of information to check to for repeated patterns. The QEEG is a harmless and vital step in developing a treatment plan for our Ansonia patients. Dr. Roseann is committed to serving everyone in the Ansonia, CT region. This includes entire families, as well as kids, teens, and adults. The goal of every Neuro and Biofeedback treatment session to promote healing and wellness. Dr. Roseann has years of experience and is a Licensed Professional Counselor (LPC), which has allowed her to learn how to best treat and care for patients from various walks of life. Neurofeedback works by analyzing brainwave information and electrical patterns gathered through a QEEG. As we study this information, we can make note of how certain brainwaves react and occur for situations, locating undesirable ones. We then enable our Ansonia patients to decrease these negative brainwaves and reinforce a new system. 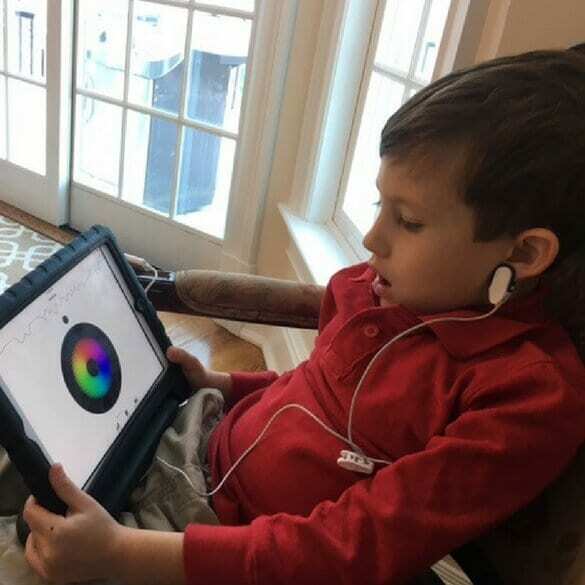 Neurofeedback is designed for the regulation of cranial activity, and we aim to establish new patterns through frequent sessions and repeated practices. A reward system solidifies the new patterns. Neurofeedback has been around for decades, but our modern advancements in technology have allowed for us to make it more effective as we strive to better understand conditions. It has allowed us to make it more personalized for our Ansonia patients. The first step in the Neurofeedback process is to perform a QEEG. This enables us to understand the specific needs of our Ansonia patients, regardless of the diversity in conditions. Once this information is interpreted, Dr. Roseann will create an individualized treatment plan. The actual Neurofeedback treatment sessions consist of placing sensors on the scalp and ears. These sensors are harmless and simply track electrical activity. They measure information while our Ansonia patients watch a movie, helping to establish reinforcement. Treatment sessions are individualized given the natural diversity among patients and conditions. The number of sessions will naturally vary, but on average, our Ansonia clients visit the office two to three times a week. To get started on your treatment sessions, simply give us a call today! The first step in Neuro or Biofeedback process is to have a QEEG, as this allows us to begin making a personalized treatment plan. With this data analyzed, we can help you begin your treatment sessions. Call today to schedule this first appointment. We also offer free additional information sessions regarding our treatment methods. If you have questions about these information sessions, please ask! The different therapeutic approaches can produce different results, and it is often dependent on each Ansonia patient and specific conditions. As an expert in Neurofeedback and therapy, Dr. Roseann will be able to interpret your QEEG data accurately to create an individualized therapy treatment plan just for you. If you have questions about this, always feel free to ask. Your comfort is our goal. Dr. Roseann is dedicated to the health and wellbeing of the people in Ansonia, CT. With our unique and beneficial therapies, we enable our patients to understand their condition and begin the path back to stability and comfort. Call us today to schedule your first appointment!